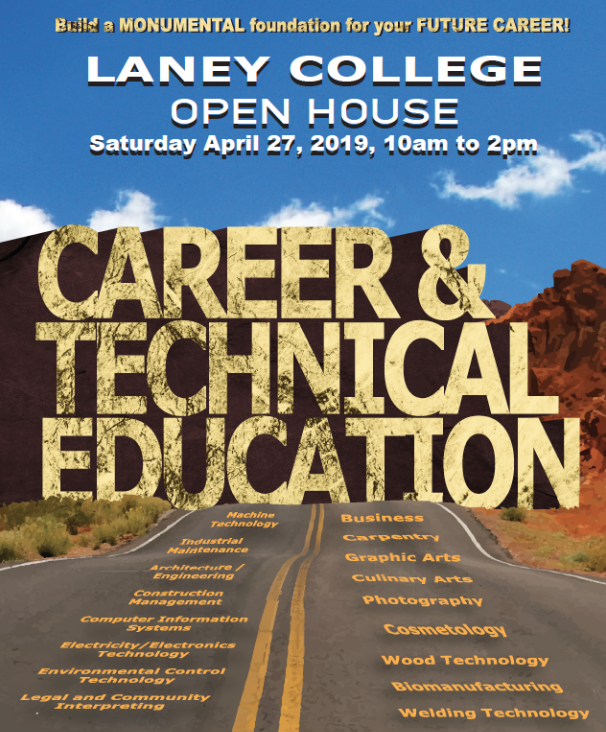 Laney College will host their annual 2019 CTE Open House, Saturday, April 27th from 10 am to 2 pm. Come explore your career choices at Laney’s Career and Technical Education Open House! Over 15 departments will be running demos, tours and answering your questions. Lunch will be provided and there will be a raffle!! To learn more details about this event and register click here.